At 3.25am on Sunday, 22 July officers were called to The Square, Titchfield Common, Fareham after two men were found with serious injuries. The men, aged 29 and 32 and both from Fareham, had been walking at the back of Titchfield Recreation Ground when they were approached by a group of people and assaulted. The 32-year-old man suffered two puncture wounds and the 29-year-old suffered a head injury after being hit with an object. Both men were taken to the Queen Alexandra Hospital. Detective Sergeant Gary Cable, said: “We are still in the early stages of our investigation and are working to establish exactly what has happened. This appears to be an unprovoked attack which happened as they were walking back from a local festival via the back of Titchfield Recreation Ground. 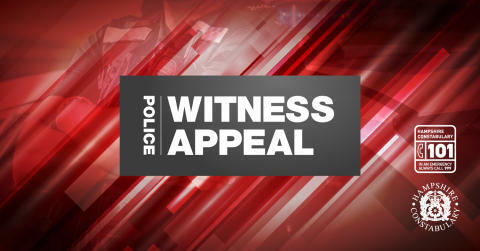 “The two men have been approached by a group of people, described as youths, who have then assaulted them. The victims have then made their way to The Bugle Hotel where they received help and emergency services were called. “People will notice a lot of police activity in the area today while we carry out our investigations. We would like to speak to anyone who was in the area last night or anyone who thinks they may have information that could assist our inquiry." If you have any information, please contact us on 101, quoting reference number 44180276417.